RPTS meets the need for higher accuracy and more frequent calibration of thread plug and thread ring gages. Thread plug and thread ring gages are used to check measurement of pitch and diameter of threaded items. Many companies are seeing costly mistakes and product recall due to these gages giving an incorrect measurement. To prevent these mistakes companies are requiring frequent calibration at higher accuracy to ensure the product delivered to the customer is an efficient and accurate tool. RPTS recommends thread plug, thread ring gages and any precision instruments be calibrated by an accredited calibration laboratory with long form certification traceable to N.I.S.T. (National Institute and Technology) to ensure all gages meet the required industry standard. It is critical that these gages are calibrated on a regular cycle. This cycle depends on the amount of use and if the thread plug and thread ring gages that have been dropped or impacted. RPTS suggests an annual calibration, setting a date every year to have your gages calibrated. 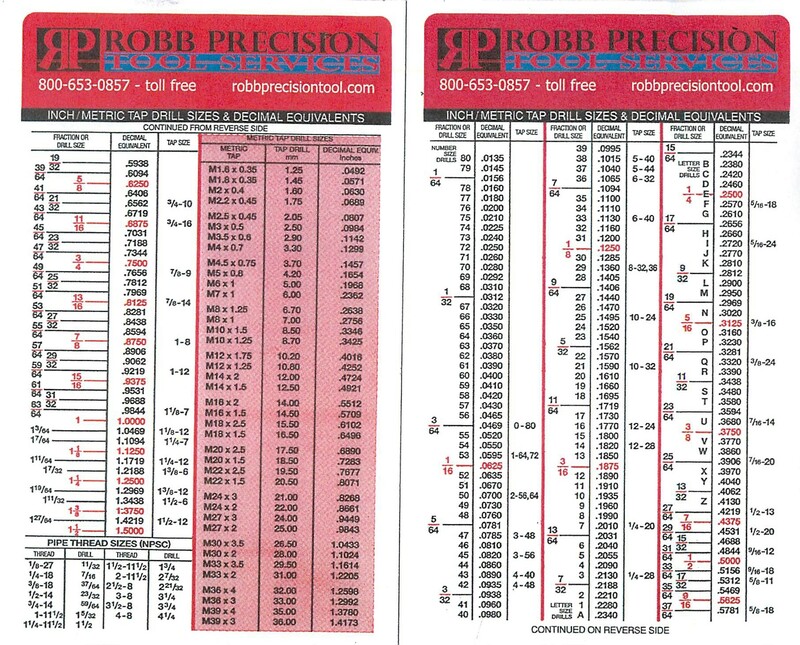 Robb Precision Tool Services is an A2LA Accredited Calibration Laboratory that follows ANSI/ISO/IEC17025:2000 and will provide a long form calibration certificate traceable to N.I.S.T. standards for all thread plug and thread ring. A long form certificate lists in detail all of the characteristics needed to ensure conformance. All thread plug and thread ring gages are calibrated by a trained technician in temperature controlled laboratory. What is A2LA ISO/IEC 17025 Accredited Calibration? A2LA stands for the American Association for Laboratory Accreditation. It is a nonprofit 3rd party institution that accredits calibration labs and preforms thorough assessment of all factors of testing and calibration to the ISO 17025 standard. A2LA laboratories are audited regularly to ensure their continued compliance with requirements and to check that their standard of operation is being maintained. Lab technicians may be required to take part in comprehensive and ongoing intense testing to ensure the most recent methods are being followed. Is the most important standard for calibration and testing laboratories around the world. Laboratories that are accredited to this international standard are required to include factors which determine the correctness and reliability of the tests and calibrations preformed in the laboratory by a qualified technician. Factors that are included are environment control; equipment and measurement traceability; testing methodology; and reporting of test and calibration results. To ensure that calibration and testing are accurate and reliable. Laboratories comply with internationally recognized standard. Increase confidence in Testing and Calibration. Save costs on an incorrect indication. Which can cause rework, scrapped product , product recall or injury. Robb Precision Tool is an accredited A2LA ISO/IEC 17025 laboratory. 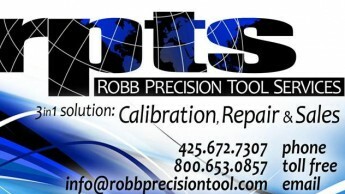 Visit our website at robbprecisiontool.com to see all of our calibration and repair capabilities. Robb Precision Tool Services Launches its New Website with Enhanced Features, Making it Quick and Easy to navigate. our extensive line of CDI torque wrenches. This new website offers several features including our new contact page, making it easier to request a quote, pick up, delivery or onsite calibration. As well as a new personal log in page to view all A2LA cerificates. 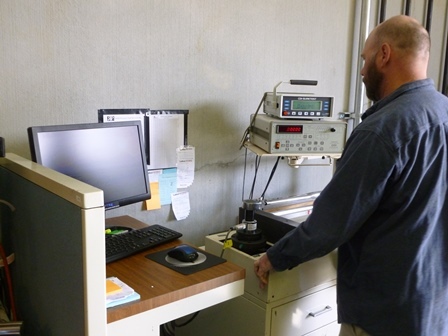 Robb Precision Tool Services is an A2La accredited calibration lab which follows the A2LA standards with ongoing training and testing to ensure the most recent methods are followed. Specializing in certification, repair and sales including micrometers, calipers, indicators, various gages, hardness testers, optical comparators, weighing scales and torque wrenches. With over three decades of experience in the field of metrology and torque.